A walk yesterday evening provided more of an insight into Ware and the uniqueness of some of the buildings. This morning I also found a comment from blog reader Ian about yesterday’s post. 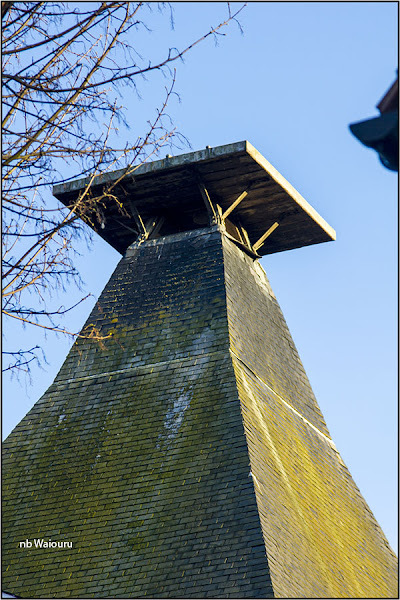 That building with the steep roof pitch and the flat platform on top is a malt kiln. Walking further around Ware I noticed this following building. The last time we saw one of these was in Kent and was told it was a barley kiln unique to that part of England. Malt is made from barley! Maltsters have operated here since the Middle Ages but they reached their peak in the 18th Century. 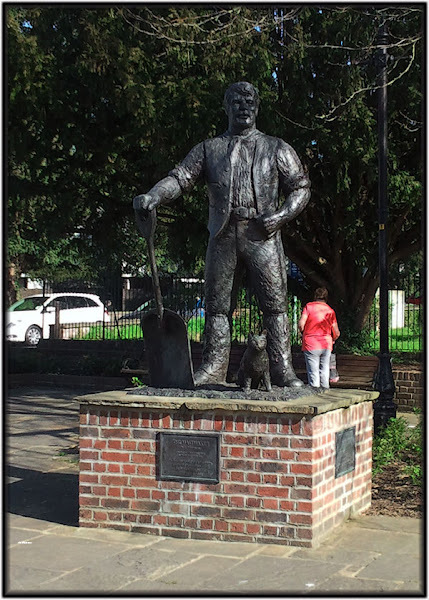 The making of malt must have continued in Ware until at least the last 30 years as an elderly couple spoke to us in front of the local status of the Maltmaker and the husband mentioned he had worked in the industry. The wife remembered the cat at the foot of the Maltmaker. Apparently the cat’s name was Harrington. I assume the cats were kept to control the rodent population. 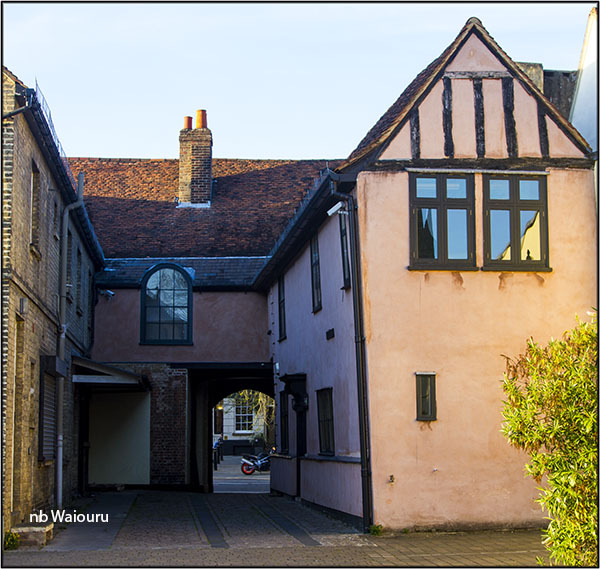 From the 14th century until the last 100 years Ware was a major transport centre with numerous coach inns along the High Street. 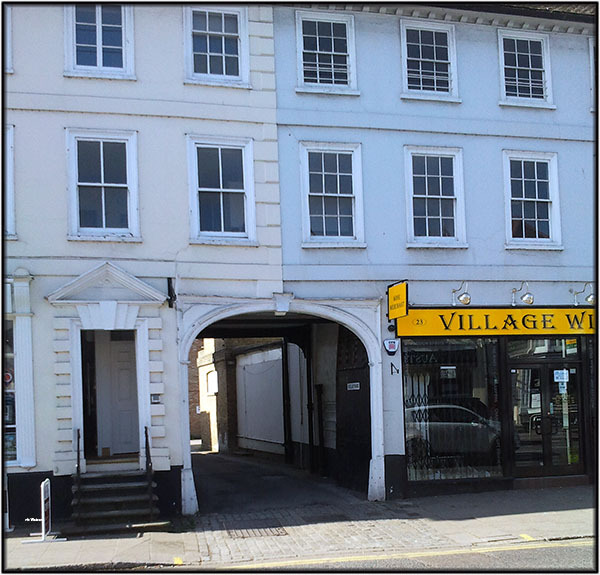 Many of the old gateways on the High Street still exist. View from the other side of an old coach gateway. Boat painter and blog reader Bill sent me an email pointing out the errors in my painting technique. My brush stokes are leaving lines in the paint. I haven’t been that worried with the primer coat as I know it has to be sanded back. 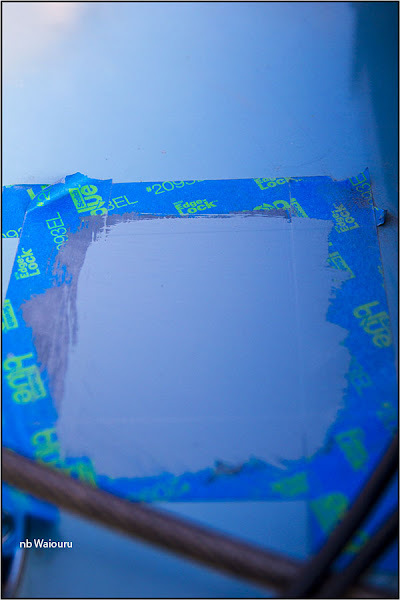 These next two photos show the sanded patches with the first layer of undercoat. 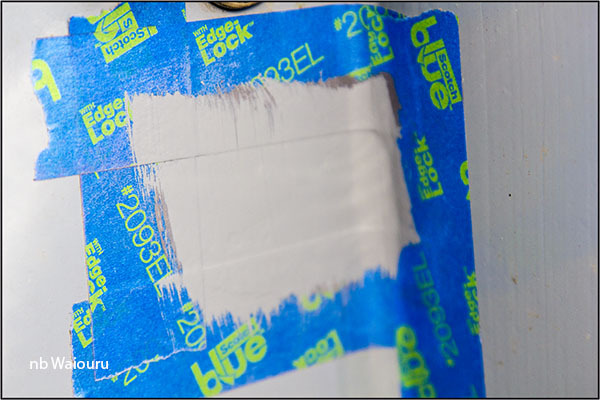 This is where the end of the cabin door hook scratched the paintwork on the bulkhead. This is the patch on the roof. This afternoon I masked up the black paint on the bow cants, rubbed it back lightly and gave it a coat of black gloss. I’m optimistic my painting technique might be improving slightly. Very slightly! 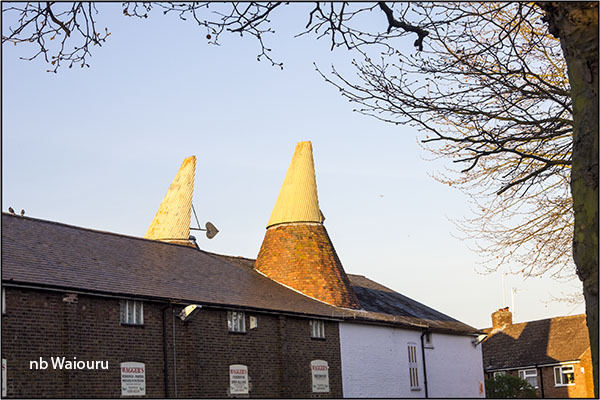 The oast houses in Kent (my home county) are actually for drying hops. Bugger... I should have remembered it was hops rather than barley! Hi Tom, I watched a series of youtube videos by John Barnard about techniques for narrowboat painting the other day - he does 4 coats of primer, 3 undercoats and 3 topcoats. He made it look easy, but I was stunned by the number of coats. When/If I have patching to do this year, I will certainly do more than the one of each I did last year! When we lived in Bromley and Crystal Palace back in 2004/5, we used to drive down through Biggin Hill to the A25 - the oast houses were plentiful in the lovely Kent hills. 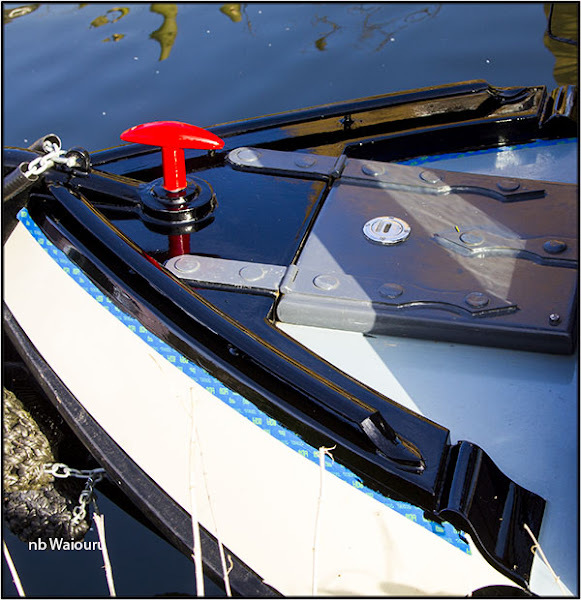 The boat has six layers except for the red where more were required to achieve the depth of colour.